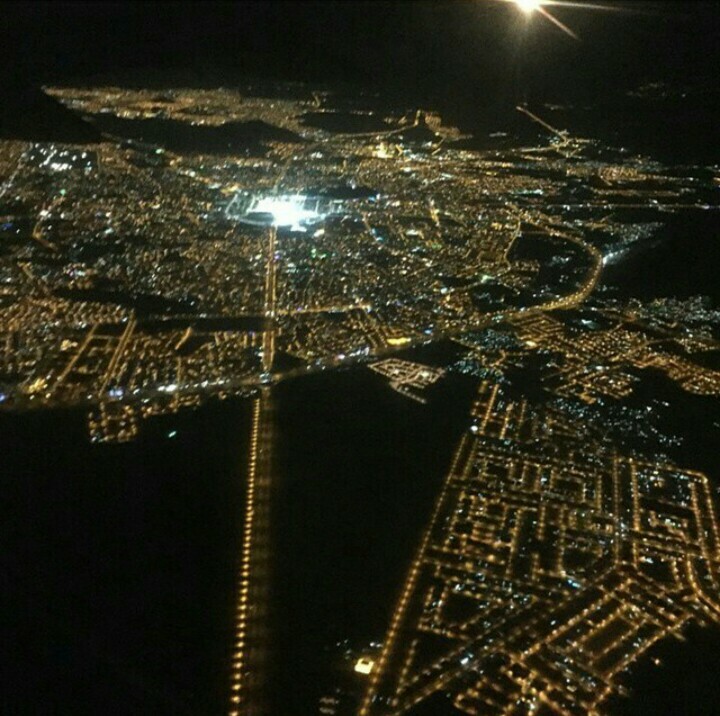 This is an aerial view of Madinah. 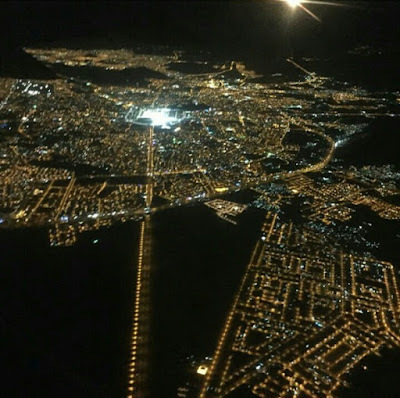 The bright white spot you see in the center is Prophet Muhammad's (pbuh) masjid. Subhan Allah. Do you see this white palace? This is the mosque of Ahmad (i.e. Prophet Muhammad). The white palace foretold is actually Prophet's masjid. At night it radiates white lights all across, as seen in the image above. 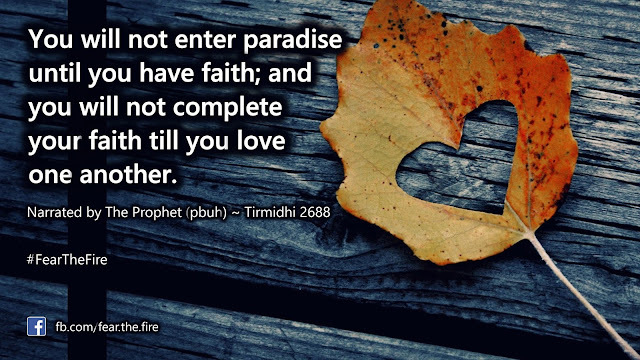 More details on this hadith is available here. 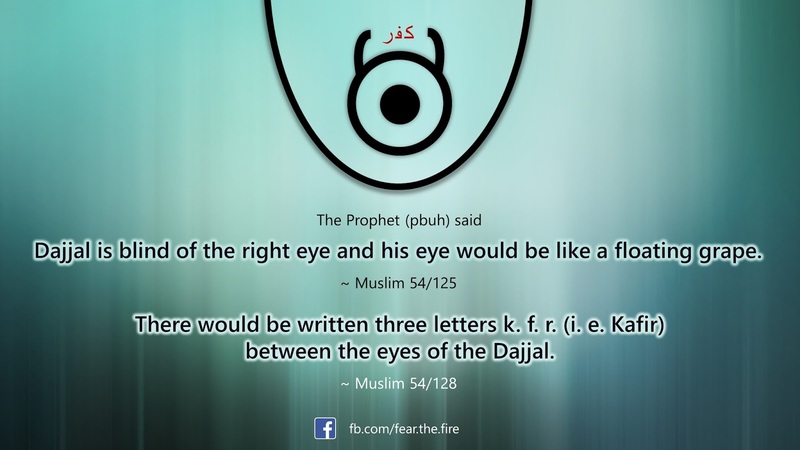 The Prophet (pbuh) also warned that when Dajjal appears the world will undergo a major turmoil and the period will be the biggest and the harshest in the history of mankind. This would be a test from Allah to see who is upright, pious and sincere in Islamic faith. 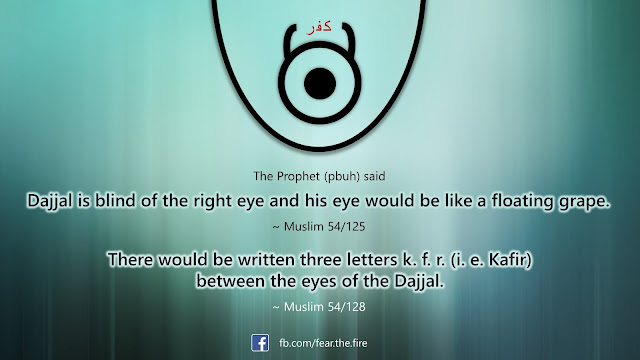 The attributes of Dajjal. How he will look. The AntiChrist will be a young man with a ruddy complexion, short, with thick curly hair, a wide forehead, and broad upper chest, blind or defective in the right eye. This eye will be neither prominent nor sunken, and will look like a floating grape. 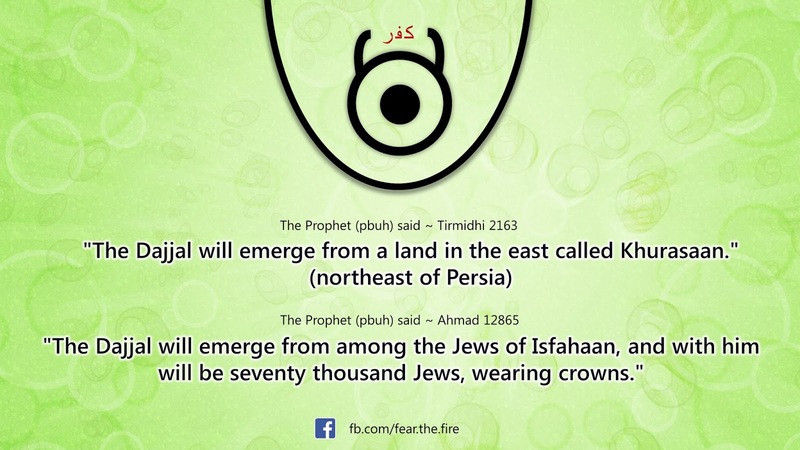 The Dajjal will emerge from the direction of the east, from Khurasan, from among the Jews of Isfahan (Iran/Persia). The land of Khurasan today is believed to be region around Afghanistan. From there he will travel around the world and will leave no city without entering into it, apart from Mecca and Madinah. He will not be able to enter these two holy cities because the angels will be guarding them. When will Dajjal appear? Look at the spade of events here. 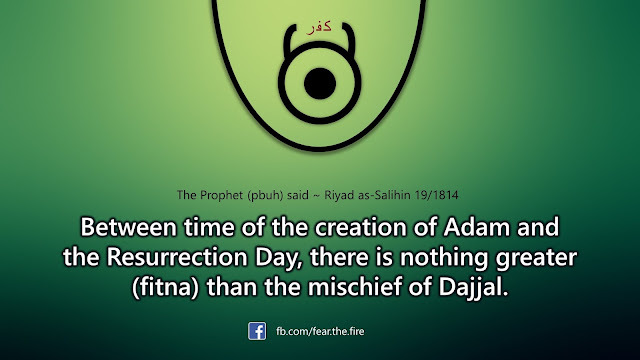 Dajjal will stay on the earth for 40 days: one day like a year, one day like a month, one day like a week, and the rest of the days like your days. He will travel across the earth like the clouds when they are driven by the wind. He will command the sky to rain, and the earth to bring forth vegetation, and their cattle will come back to them in the evening, with their humps very high, and their udders full of milk, and their flanks stretched. Then he will come to another people and will call them, but they will reject him. So he will leave them and they will be stricken with famine, with none of their wealth in their hands. He will pass by ruins and will say, ‘Bring forth your treasure!’ – and the treasure will follow him like a swarm of bees. This is recorded in Muslim 54/136. See here. 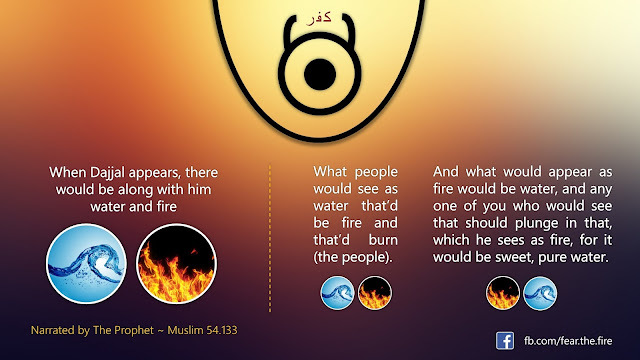 Two ways how one can save themselves from the tyranny of Dajjal. Supplicating after every prayer as outlined below. 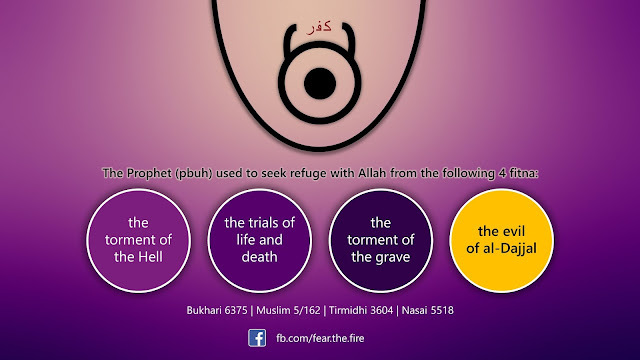 And memorizing the first 10 verses of Surah Kahf as advised by Prophet Muhammad (pbuh). Reciting the first 10 verses of Surah Kahf (Quran, Chapter 18), will protect one from the tribulation of the AntiChrist. 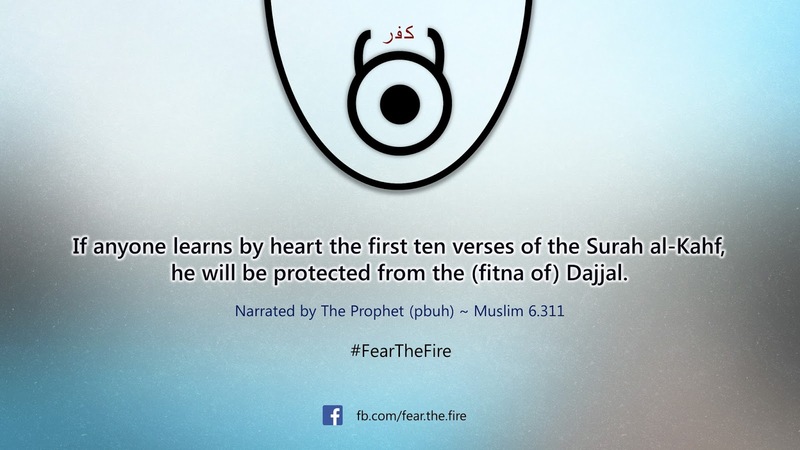 There are some who believe it is the last 10 verses of this Surah. Every Muslim should strive to read this chapter, and to memorize it and read it repeatedly, especially on the best day on which the sun rises, namely Friday. 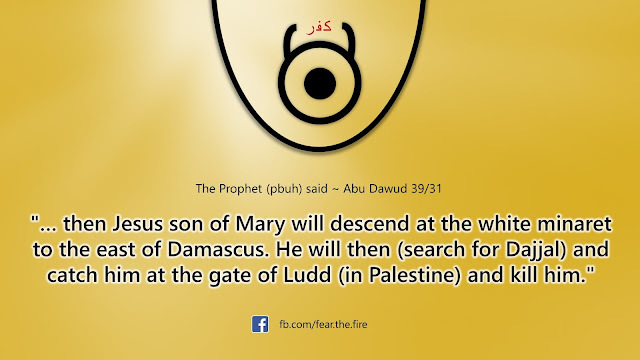 The Second Coming of Prophet Jesus (pbuh) is mentioned in several hadith. 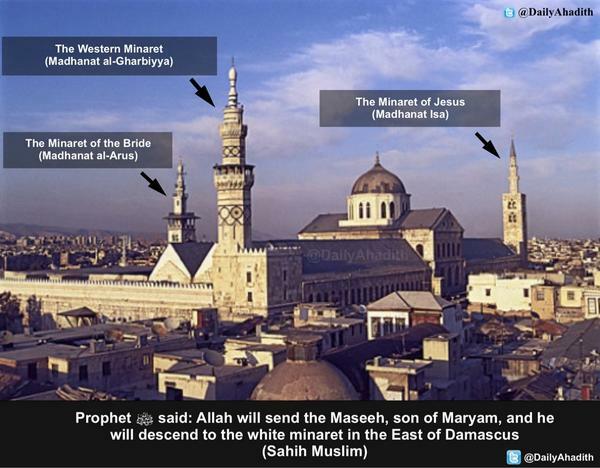 Prophet Muhammad (pbuh) prophecised that Jesus (pbuh) will descend at the eastern minaret in Damascus. 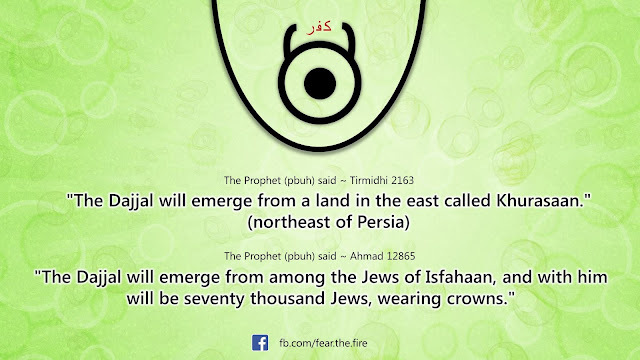 Dajjal at time will be heading towards Masjid-al-Aqsa (Jerusalem). After the morning prayer Prophet Jesus (pbuh) will lead Imam Mahdi and his army towards the Jerusalem. 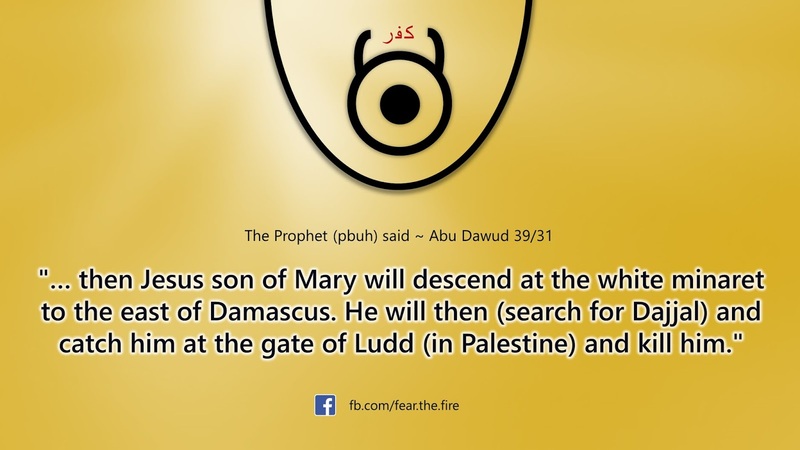 On the way Jesus (pbuh) will catch up with Dajjal at the gate of Ludd (Lod), which is a place close to Jerusalem. We have the white palace now, which is in the form of Prophet Muhammad's mosque, in Madinah. Also take a look at the short video here (~ 2 min) and a slightly longer one here (~ 7 min). The end is clearly near. The Khalifah of Islam. The solution for world peace.